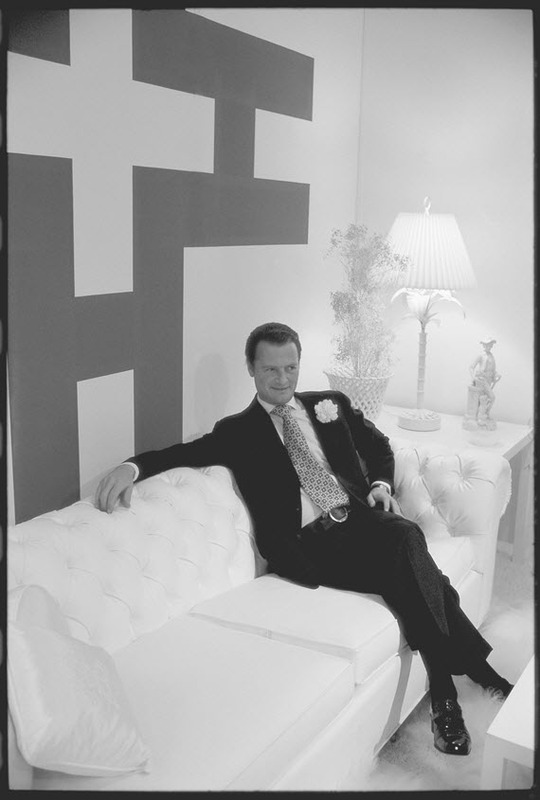 David Hicks, the iconic English interior designer, is best known for his bold use of color and geometric pattern as well as his famous clientele including British royals. 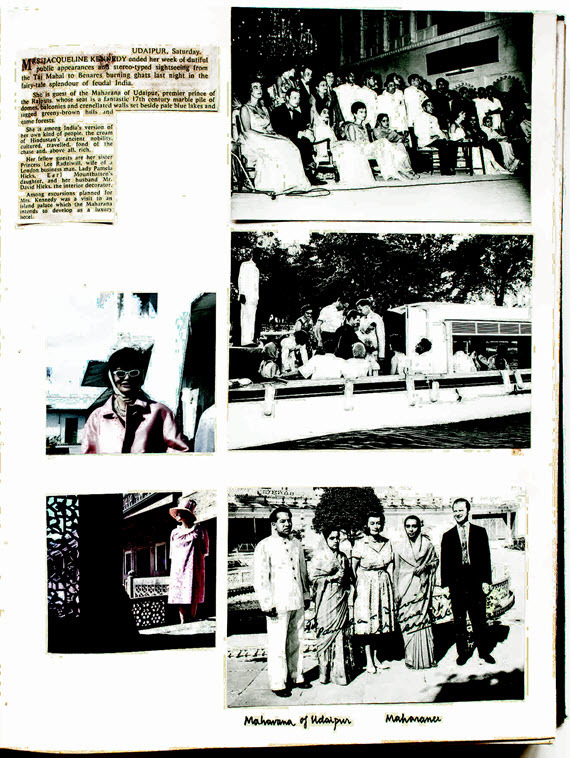 His inspiring career spanned nearly five decades – from the 1950s to the 1990s, Hicks carefully and thoughtfully chronicled his vast work and accomplishments in scrapbooks. 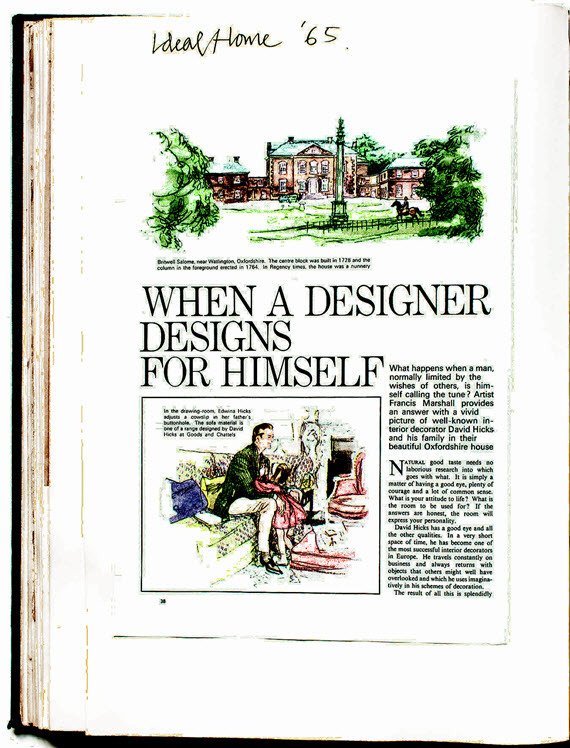 Clips from shelter magazines featuring his designs, newspaper articles, ticket stubs and personal letters from clients were just some of the memorabilia collected in the twenty-five volumes he created. 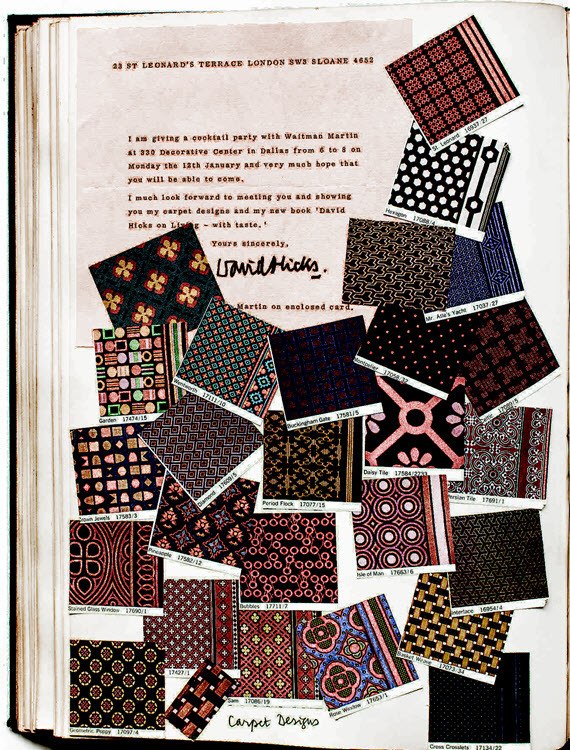 The precious scrapbooks became his legacy and his son and interior designer, Ashley Hicks pared down over 3,000 pages to just over 300 of the best that are featured in a newly released book, David Hicks Scrapbooks by Vendome. First off, the book’s cover is a stunner – it’s coffee table worthy for sure. And as you flip through the collage style pages with drawing and handwritten notes, you get a personal glimpse into the fascinating world of David Hicks. 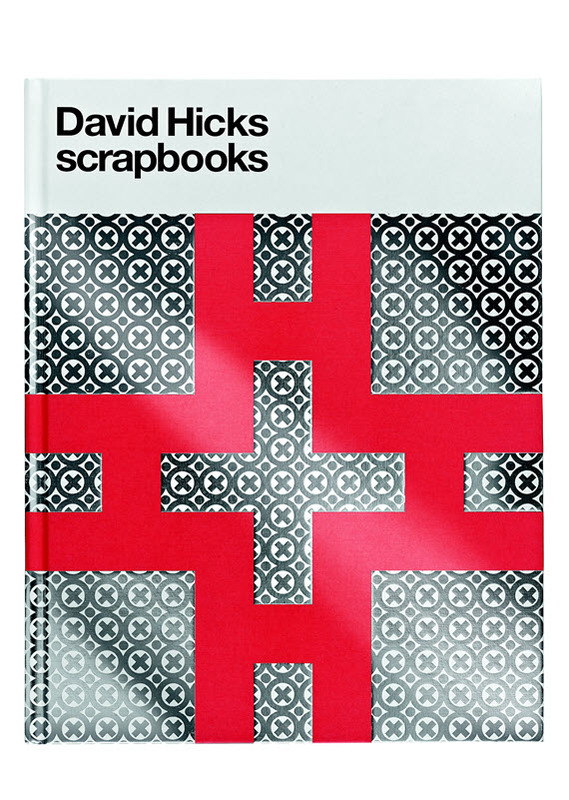 This beautiful book is a must for any Hicks fan and a great addition to your design library.